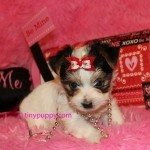 Our little Parti Yorkshire Terrier Valentine Kisses is something special. 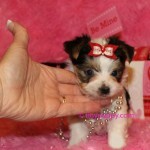 She is outgoing, friendly and loves people. 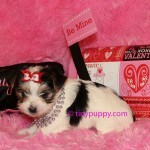 Kisses is just 1.4 lbs at 7 weeks of age. 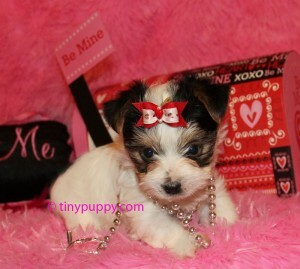 She will be ready to come be your special little Valentine soon.